When starting an online business, you need the power of a versatile website to sell your products and services to the market. Many entrepreneurs know that the success of their online business depends on the quality of the domain and web hosting services they get. Therefore if you are looking to choose from the long list of domain registrars and web host services out there, this review on GoDaddy would give you first-hand information to consider whether to go for GoDaddy or some other providers. Every customer wants a hosting service that is affordable and reliable. GoDaddy is an exceptional hosting service. GoDaddy makes it very easy for people to choose a domain name and hosting. It also makes it easy for people to start building their website. Right now, I won’t say GoDaddy is the best domain registrar, or it provides the best hosting service; I won’t be biased. But after this review, we would be able to decide if GoDaddy is the best domain registrar for people starting an online business. 1. Domain hosting and industry leading page loads. GoDaddy has the fastest page load times. The pricing for domain hosting is also low and affordable. What’s more? If you sign up for one of Go Daddy’s annual hosting plans, they will include your domain at no additional cost. 2. Excellent security and expert support. GoDaddy has DDoS protection to guard your site against malicious bots and hackers. GoDaddy also has lots of security experts dedicated to keeping your site and server safe. 3. Simple installation of web apps. GoDaddy has an administration panel that allows popular web apps to be installed in no time. Web apps such as Joomla, WordPress, Drupal and so on. You can also install Magento if you want an eCommerce store. When it comes to customer support and reliability, GoDaddy is one of the best. They offer 24/7/365 phone support, live chat, and email support. They are so reliable to the extent that they pick your calls anytime without delay. You can also speak to them through live and email chat. What’s more? They also fulfill the duty of every host – 99.9% uptime. Here are the pros and cons of GoDaddy. I will start by giving the pros. 1. It is cheap. Registering your domain name with GoDaddy is cheap. Although their economic plan is $7.99 per month, you can get it for a lower price using coupons. 2. They give unlimited bandwidth. What happens when you don’t have enough bandwidth, and a massive traffic storms your site? Your site would crash. But GoDaddy doesn’t want your site to crash, so they give you unlimited bandwidth. 3. They integrate products well. It is quite stressful and expensive when you buy your domain separately from your web hosting. But GoDaddy allows you to buy your domain name, email services, and web hosting at the same place. This is very good for someone starting an online business. What’s more? Their price is low. They also offer bookkeeping services and can integrate with Google Apps if you want them too. 4. Their hosting is currently on the latest technology. And that is very good. 5. They offer WordPress auto install. Most people like installing WordPress manually because it gives them control. But allowing a robot to install WordPress for you is super time saving, and it is also nice for people who consider security salts, databases names or FTP. However, when a robot is installing WordPress for you, it needs to do it right. This is why I like GoDaddy – when you install WordPress on GoDaddy, it is always done correctly. 1. GoDaddy limits your Email addresses, databases, memory and the extent that you can use other websites with one hosting account. Even on their deluxe plan, you are limited to just 25 websites. 2. They make it a little difficult to leave. Once you choose your web host with GoDaddy, they make it a little difficult for you to leave. 3. They are very restrictive on Data. Although GoDaddy gives you good security, they are very restrictive on Data. GoDaddy makes you do a little bit more work in getting web forms, wiki, etc. they say it will help you reduce spam attacks. 4. They use a custom hosting panel until you pay. Your hosting panel matter. The best hosting panels are the cPanel and Fantastico. However, GoDaddy uses their hosting panel. So until you pay, you would use the GoDaddy’s custom hosting panel. The GoDaddy website builder is very easy to use. It is just a drag and drop interface, so you can insert your content anywhere you want. The GoDaddy website builder is user-friendly, and they also provide customer support. GoDaddy also has an extensive support documentation or library that you can consult if you are unsure of anything. GoDaddy is very easy to use compared to some other website builders. The pricing for GoDaddy hosting and domain registration is very economical and affordable. Especially when you consider the add-on features that come with the hosting plan; the price is inexpensive. If you want to save more money, you can use a site like DealCrunch to check for the latest promo code and other special deals GoDaddy has. The economy plan is a cheap plan for people who are just starting an online business and don’t have too much money. The price of the economy plan starts from $1 per month. If you want to step up on your hosting plan, you can go for a deluxe plan. A deluxe plan starts from $5.99 per month. If you want to host more than one website, this plan is for you. 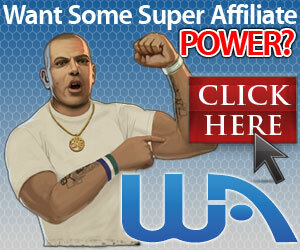 With the ultimate plan, you can host more than one website on one hosting plan. The price of the ultimate plan starts from $9.99 per month. How happy are existing customers? To round up the review, we have to check how happy the customers are. The best way to know how reliable and effective a service is, is to check for the customer’s review. From the GoDaddy customer’s review so far, I can say without being biased that GoDaddy is one of the best domain registrars and offers one of the best hosting services. Their overall ratings are 4.7 out of 5 stars. If you are starting an online business, GoDaddy is an excellent web host and domain registrar to consider. There are one of the best domain registrars, and they also offer one of the best hosting services. What’s more? Their price is also very affordable; they also have great customer support and security. If you will like to read about alternative programs, check out my review of name cheap and wealthy affiliate.